Just north and east of South Ferry. Most prevelant rolling stock, open-platform equipment converted to closed platform with sliding outside doors and mu door control. 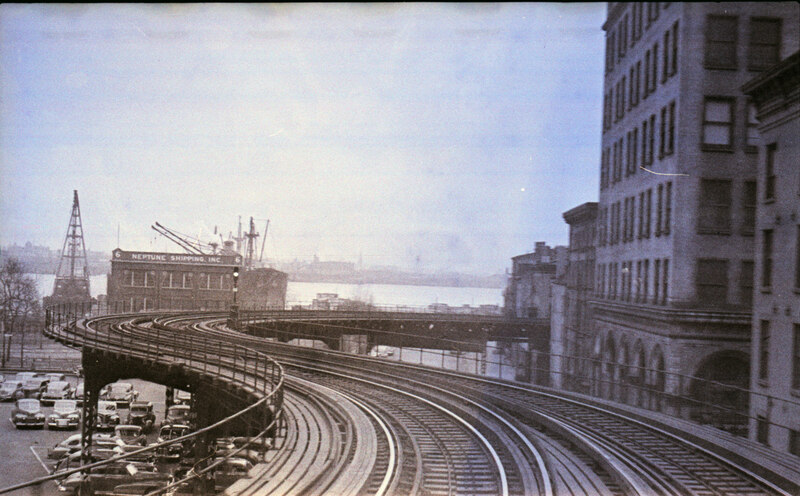 Canal Street Junction phtographs, lower level to Citiy Hall, Park Row, upper to South Ferry. Gate cars run south empty, north as Through Expresses to 241st Street, White Plains "Road." 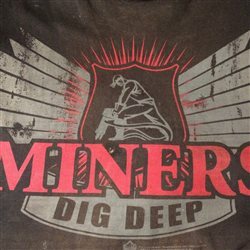 Wow, these are amazing. Great work and thank you for sharing. Fantastic Dave! Is the Second Expanded Edition of Stelter's excellent book By the El:Third Aveune and it's El at Mid-Century available as a hardback? I can only find softcover editions on Amazon. The best photograph in the book is the one where Lothar shot a young lady while adjusting her hair in the reflection of a window on one of the stations on the El! A pity Ralph Kramden (Jackie Gleason) wasn't portrayed as an operator on the El instead of a bus driver for the fictional Gotham Bus Company in The Honeymooners! What I find interesting are the sailing ships. Yes, the sailing ships... 1948. How much longer were these around? Seems a bit late in the game. So, forgive my ignorance but I take it ALL of the elevated is now gone? When did they start taking that all apart and when was the last of it. Just appx dates. I do not want to write any text without the edit button, I must point out the sailing ships are in the HISTORIC photo prior to electrification. 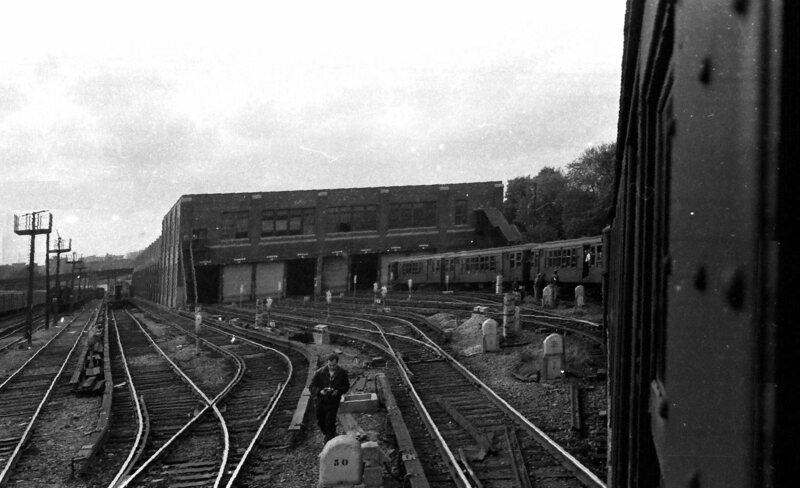 After checking at www.newyorksubway.org , the Third Avenue El was abandoned south of 149th Street in 1955, the remainder between 149th Street and Gun Hill Road was abandoned in 1973. The remaining El below 149th St, you mean. Chatham Square to South Ferry closed in Dec 1950-- Chatham Sq to City Hall closed at the end of 1953. The remaining El below 149th St, you mean. I believe he means 149th St. in the Bronx. You can still clearly see where the columns which held up the interchange with the Lexington Avenue IRT were cut off when riding the expresses to and from the South Bronx. Ok thanks for the information as to dates ... also the sailing ships clarification... upon closer inspection and magnfying the image it is quite apparent it is much earlier than 1948... still nifty though. 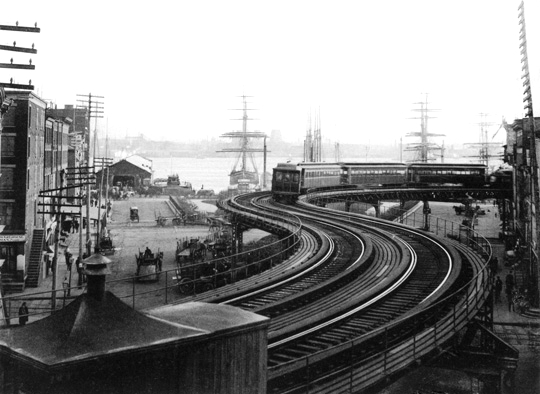 I took a look of the photo with the square-riggers, and I think it's sometime in the 1890's, the elevated's not electrified and there's no motor vehicles to be seen on the street, and there were still quite a few sailing ships still in service. David could probably give us the el's electrification timetable but I'm sure it was sometime before the First World War. 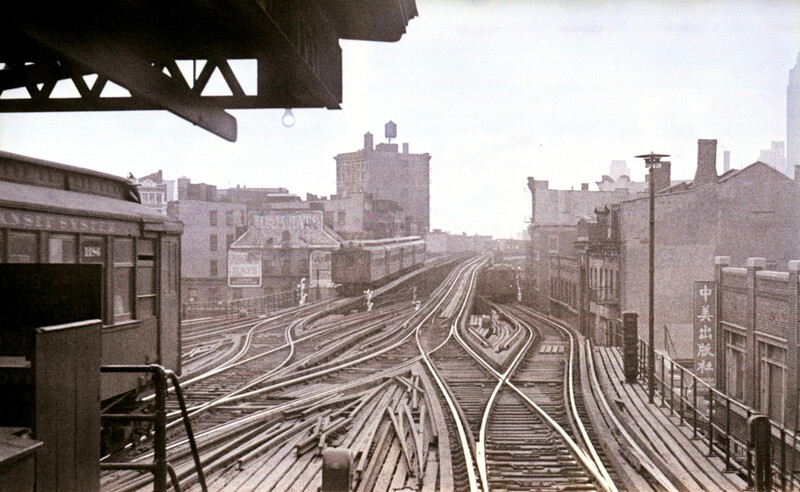 Excerpt from The Tracks of New York https://archive.org/stream/tracksofnewyork03kahn#page/8/mode/1up After successfully testing multiple-unit electric operation on the Second Avenue el in 1900, the company electrified the entire system with 600-volt D.C. overrunning third rail. 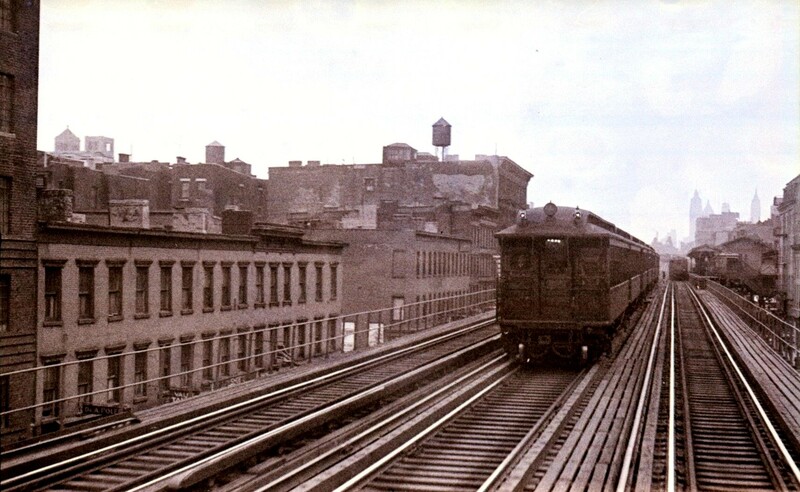 MU electric service was phased in from December 30, 1901 on the Second Avenue line to February 18, 1903 on the Ninth Avenue line. Thanks Wanswheel! I didn't think they wasted too much time electrifying the El's once the technology was proven. Too bad a lot of neat little steam locomotives were lost in the process. I know that some of the little steamers were scattered to shortlines. I saw that one of them made it up to the isolated line out of Nome, Alaska. It's been said that every piece of machinery that was sent to Alaska is still up there in one form or another. I'm amazed. Now there's some subjects for a serious recovery effort. Too bad there weren't more photos in the article. 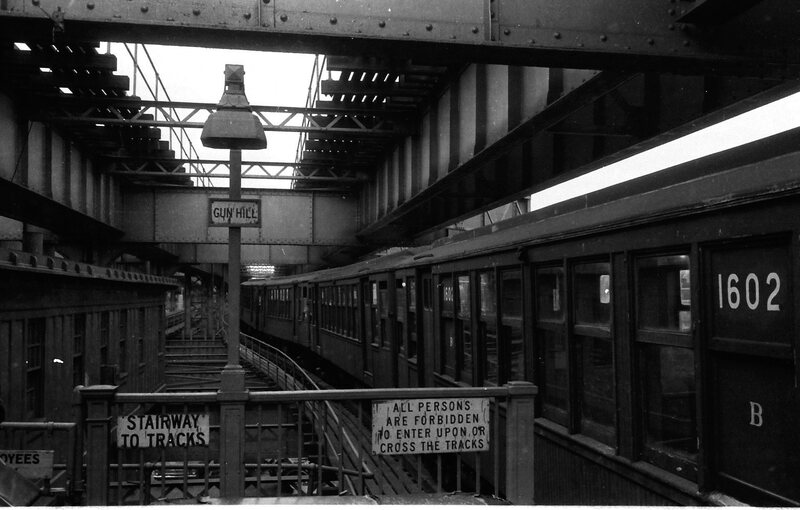 When the southern portion of Brooklyn's Myrtle Avenue Elevated (The upper portion just completed its out-of-service for rebuilding and is used by the "M") was abandoned, the Q-series cars, rebuilt in 1938 from wood gate cars for BMT Flushing and Astoria serice on tracks shared with IRT cars, and transferred to Myrtle Avenue when BMT steels started running to Astoria with only IRT service to Flusing, migrated to the 3rd Ave. Elevated, replacing both the last gate cars and the composits, the original 1904 subway cars that ran with the first steel cars, the IRT's "Gibbs cars." 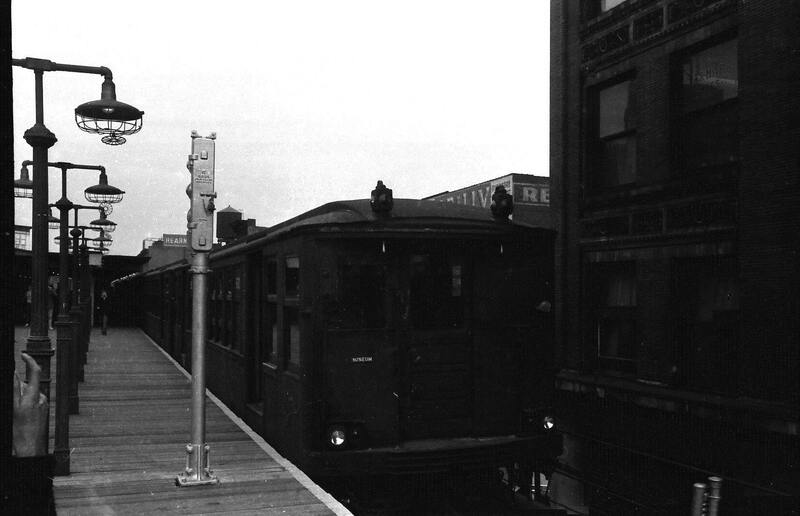 When the 3rd Avenue Elevated shut down in 1957 below 149th Street, these cars provided the service in the remaining The Bronx portion, running 149th Street = Gun Hill Rpad. 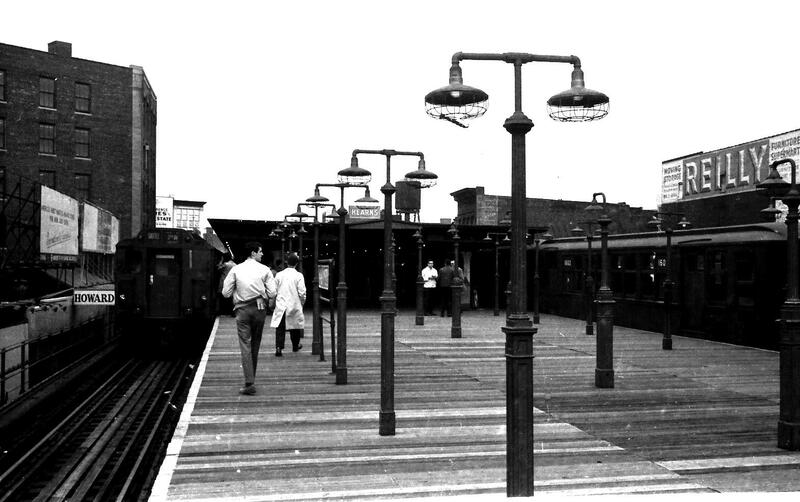 Here are photos from the last use of these cars, a fan trip, as they were then replaced by steel "Steiways" and "Words Fair" cass replaced in Flushing service by R-12s,R14s, then R-33 and R36s, known eventually as "Red Birds" I am not sure whether the first photo is at 149th Street or at 241st Street While Plains Road. 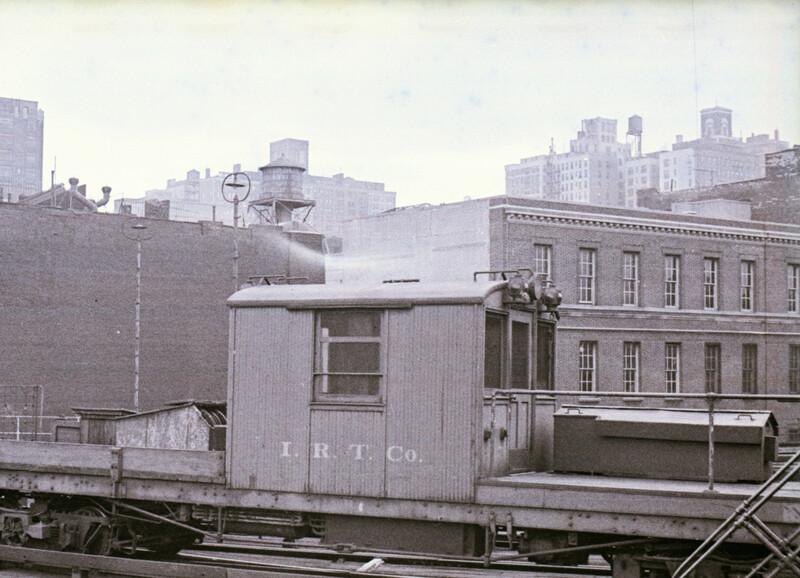 The Yard photograph is at 238th While Plains Avenue, the yard serving the 2 and 5. 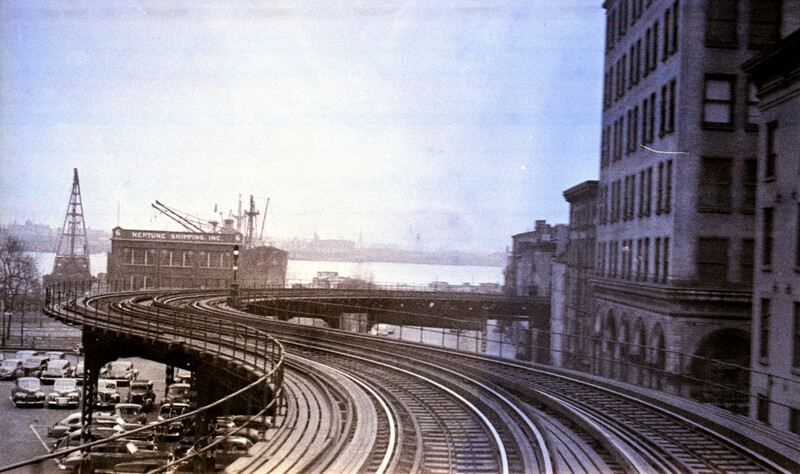 In addition to the Third Avenue Elevated, one other IRT elevated line survived WWII and continued to operate until the NYCentral Putnam Division lost all passenger service and the Giants vacated the Polo Grounds. 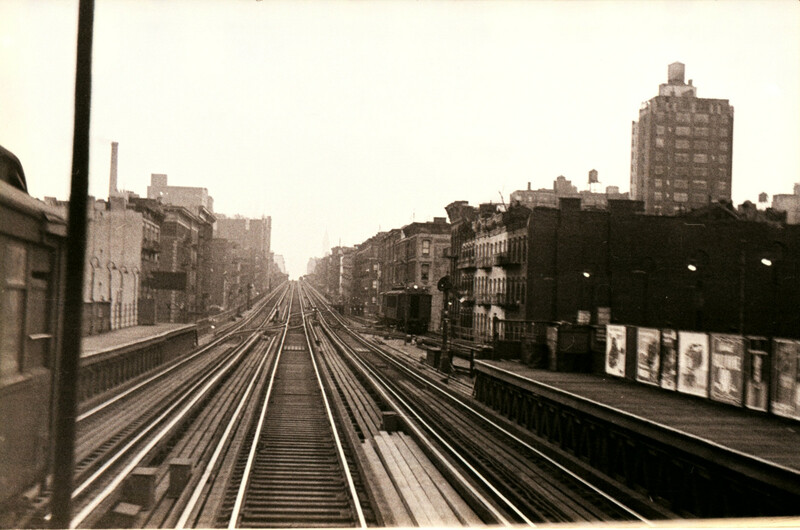 This was the northern extension of the 9th Avenue elevatef from 155th St. and 8th Ave, free paper transfer to the "D" or "CC." 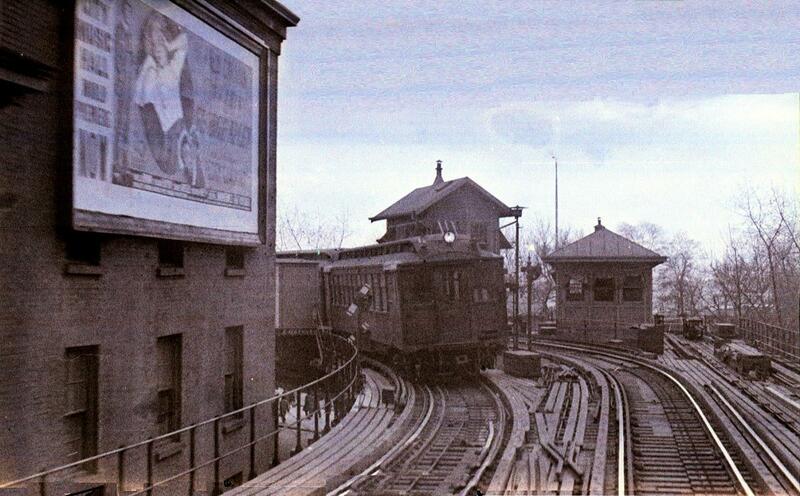 below, and the 167th Steet and Jerome Avenue current ?4" station, crossing from Manhattan to The Bronx on the former "Putnam" swing bridge. 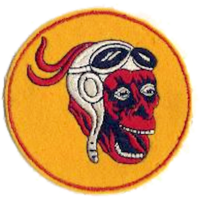 Through service by 9th Av. 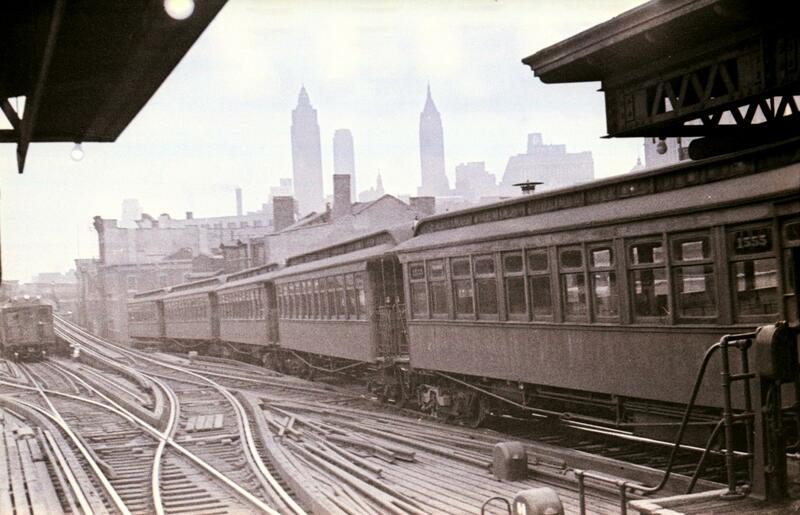 El trains was mostly with gate cars, ditto rush hour through 6th Avenue trains, with the wood cars converted to MU door control closed vestibul cars during off-peak, up to June 1940 Unification. After Jone 1940, the shuttle ran with composite cars, as shown in the autumn 1947 photo, transferred from rush-hour 2nd and 3rd Av. express, but originally used to open the original subway in 1904. 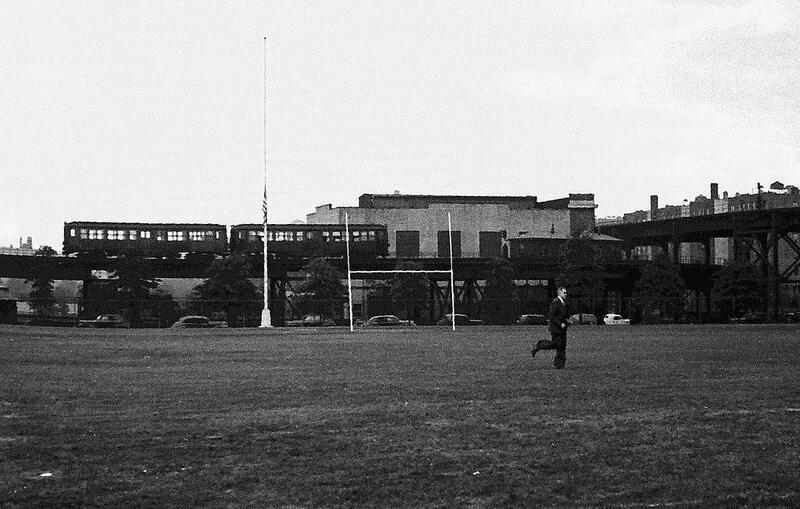 The line did see steel IRT cars before it was shut down. 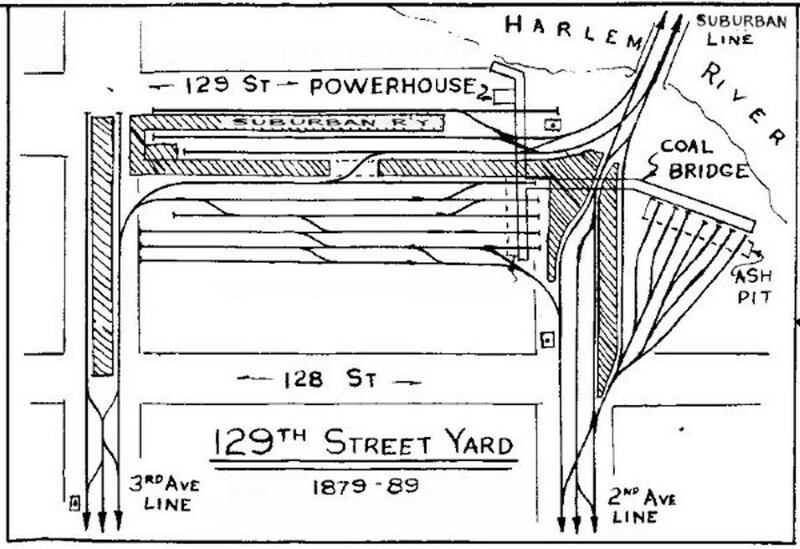 From the IRT's improvement of the Elevateds before WWI until the remaining 3rd Avenue elevated was truncated and 149th Street became the southern terminal, 149th St. Station was a three-track, two-platform station, with the bi-directional center track used by expresses during rush hours in the direction of heavy travel. 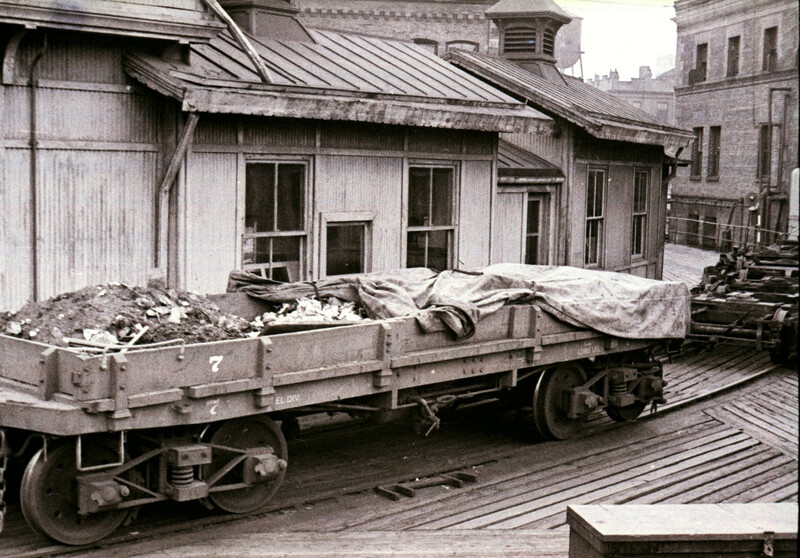 As the southern terminal, it had two tracks with on broad center platform. It was modified in service with the rush-hour expresses relocated to the local tracks. 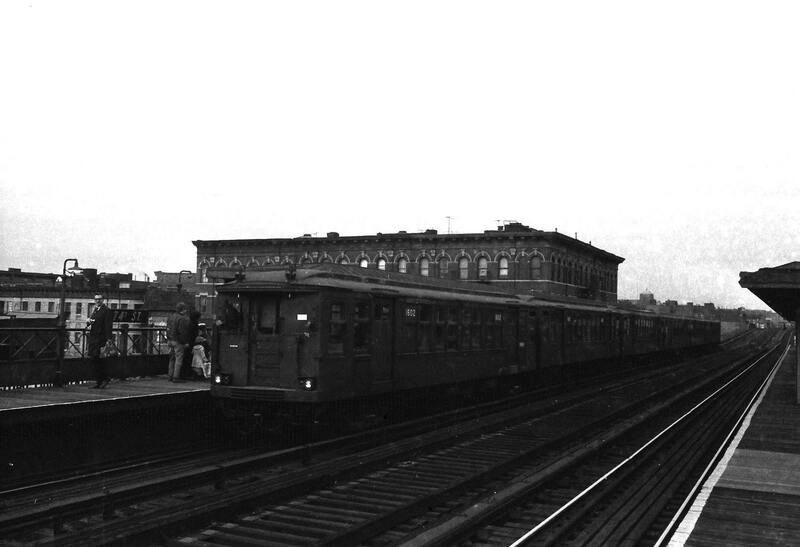 Here the finally fan trip Q-car train is opposite postwar R-12s relocated from subway service. Very nice and precious photo! 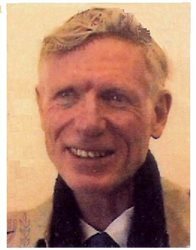 Thank you for posting them here, Dave!